Spread out your beer or wine tasting tour over several days and combine it with some epic sightseeing. 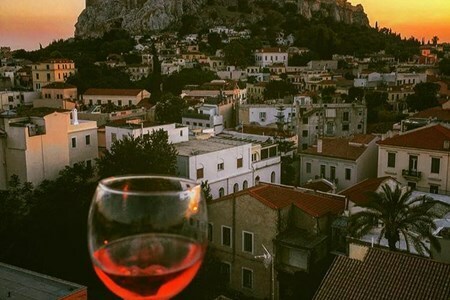 A wine vacation or beer vacation is a superb way to see a new city or region of the world in a relaxed fashion, whilst enjoying some amazingly delicious beverages into the bargain. With wine and beer vacation options to suit everyone, we're sure we have something for you. 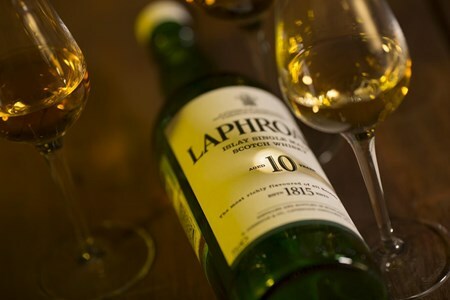 If you want to experience one the world’s most famous spirits while tasting some amazing whisky join our Whisky Tour Scotland. First of all whisky belongs to the whole world, but Scotland ... moreis its true homeland. Due to the fact that the best quality whiskies are only made in Scotland we therefore offer you this exquisite tour with a first hand experience of the whisky making process from mashing and fermenting to distilling and maturation. As a result you will have a chance to try many Malt whiskies and much more. Furthermore you will hear the adventurous history of this Uisge Beatha ‘water of life’ and learn about various legends and myths as an important part of the rich and long tradition and historical heritage of this magical potion.Therefore welcome to one of our best tours “Whisky tour Scotland”! In conclusion you will travel from Inverness to Glasgow, where you will enjoy traditional distilleries, significant and world recognized names such as – Glenmorangie, Dalmore, Glenlivet, Glenfiddich, Talisker, Ben Nevis, Glengoyne. On arrival at Inverness airport, we will transfer you to your hotel where you will stay for 2 nights. Today is reserved for visiting two distilleries. By the tranquil shores of the Dornoch Firth, amidst the golden barley fields of Ross-shire, lies the Glenmorangie Distillery. Here you will find a warm Highland welcome from the legendary Men of Tain, the skilled craftsmen who ensure that Glenmorangie is made in the same unhurried and uncompromising way it has always been through its long and distinguished history.With the help of our expert guides you will experience all stages of the whisky making process from mashing and fermenting to distilling and maturation. Within Still House (we call it our Highland Cathedral) stand the tallest stills in Scotland. Their long copper necks are the same height as a fully grown giraffe! Our next stop is Dalmore Distillery, located on an isolated area on the banks of the Cromarty Firth, laid bare to the harsh winds of the North Sea. The buildings and warehouses have stood there since 1839 designed by the scratches of its founder Alexander Matheson. The chance to explore The Dalmore Distillery is almost as special as the single malt whisky we create there. The whole experience will be a rare insight into the skill, expertise and craft that goes into each precious drop of The Dalmore. After tasting and enjoying beautiful nature surrounding of distilleries we are returning to our hotel. After breakfast we continue to explore the Highland distilleries. First today stop will be Glenlivet distillery, situated on the edge of Cairngorms National park. The wild and remote setting of Glenlivet has been the home of the single malt that inspired a region. From this beautiful glen comes the raw elements of rich mineral Spring waters of Josie’s Well, crisp fresh mountain air and an uncompromising terrain that combined create the foundation of a whisky of infinite elegance. Over two hundred years ago, whisky was closely bound up in the lives of every family in the glen of the Livet. It was local farmer George Smith who was renowned for his fine ‘illicit’ whisky, in 1824 seized upon the opportunity to obtain the first license to produce whisky ‘legally’ in the parish of Glenlivet. He knew exactly where to build his new distillery and went on to produce a spirit that would define the Speyside style of whisky which became the heartland of Scotch malt whisky production.The Glenlivet is in the heartland of malt whisky country and a visit to this grand distillery will take you on a fascinating journey to the source of one of the greatest names in Scotch whisky. Back in 19th century William Grant and his family built their Distillery by hand, stone by stone and called it Glenfiddich, Gaelic for Valley of the Deer. William’s passion, determination and pioneering spirit continues to guide us today. Glenfiddich is one of the few single malt distilleries to remain entirely family owned and is now the World’s Most Awarded Single Malt* Scotch Whisky, a true reflection of our founder’s innovative nature, passed down through the generations. Today we travel to the magnificent Isle of Skye to visit the oldest and only working distillery – Talisker Distillery. Set on the shores of Loch Harport with dramatic views of the Cuillins, Talisker is an alluring, sweet, full-bodied single malt that’s so easy to enjoy, and like Skye itself, so hard to leave. Talisker is the only Single Malt Whisky made on the Isle of Skye, one of the most remote, rugged, yet beautiful landscapes in Scotland. Few whisky’s tell the story of their origins better than those crafted at this distillery. We will try different types of whisky. Following breakfast we leave the Isle of Skye and travel to Ben Nevis Distillery, one of the oldest licensed distilleries in Scotland. Established in 1825 and situated at the foot of Britain’s highest mountain, Ben Nevis, Ben Nevis distillery is an impressive and historic place. Incorporated within Ben Nevis Distillery is The Legend of the Dew of Ben Nevis Visitor Centre built into an old distillery warehouse. In a specially commissioned audiovisual presentation, you will meet Hector McDram, a mythical giant who will reveal the secret Legend of the Dew of Ben Nevis. Following this, you will receive a conducted tour of the production areas by a trained guide and a complementary tasting. Overnight is at Fort William. After visiting distillery we travel on to Glasgow where we will stay overnight. Are you interested in craft beer? Would you like to learn how to brew beer at home and the bottling process? Then this is the brewing course for you! 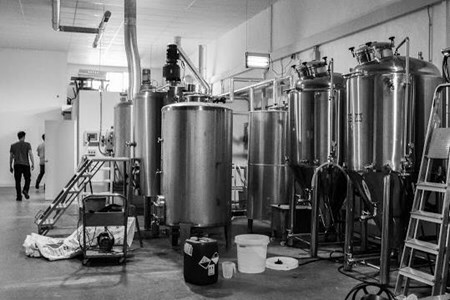 In this introductory course to ... morebrewing beer, you will learn all the brewing technical aspects both theoretically and practically, in a simultaneous way. You will brew your own beer, always following the explanations and directions of the head brewer. We also invite you to come back to the brewery to bottle the beer and take it home with you. Oregon: the Home to All Kinds of Wine Awesome wine experience is encountered by both professionals and less skilled personnel in all places within the region. Pinot Noir is among the ... morewell-known wines of all times because of its unique taste. Even the number 1 hotel Spa (Allison inn and spa) in the U.S as per travel & leisure magazine acknowledges this fact. Adelhem vineyard is among the pioneers of the Oregon wine industry where there is a winemaking facility. You can have a comprehensive overview here. All the machines and resources required can be accessed and verified by interested personnel. History of winemaking is all documented in the Willamette Valley. This dates back to ancient time and explanations of how wine came to be are detailed here. Another Willamette Valley pioneer with regards to the wine industry is the Sokol Blosser. 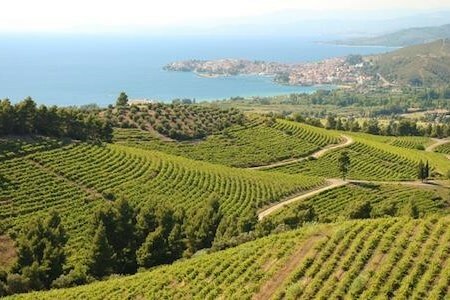 Domaine Serene is famous for exceptional wines, which are made in an italaianesque winery high top the red hills. The technique used is not quite understandable to many, but the products meet the customer’s needs. Newly released Black Brutt is available at Argyle winery for sampling. Taste and quality are compared here with the standard unit, and any differences can be noted. Stoller family estate is a firm where gravity methods, efficient heating, and cooling are adopted to synthesize top-notch wines with less environmental impact. The process might seem costly, but the result has a positive effect towards health and the environment. King estate winery was dedicated to blending Oregon wines with locally crafted ingredients many of which are grown in the estate. A tour of the properties is guaranteed to enable people to view the wine ingredients. Schmidt Family Vineyards located in Applegate Valley are known for quality Merlot, Syrah and Cabernet Sauvignon. The wines have a great taste all of which satisfy customer needs and expectations. Troon Vineyard is known for unique blends, varietals (Vermentino and Tannat) and amazing Zinfandels. Since the 1850s, Valley view winery leaves you with great memories of Oregon and her wine products. Oregon wine has been known for quality taste and is a great investment. Day 1 | Arrive in Portland and indulge in an urban, artisan wine experience at Enso Winery. Day 2 | Wine tasting and tour at ponzi Winery. Set atop a panoramic slope, the state-of-the-art winery and modern tasting room are surrounded by the majestic Avellana Vineyard. Visit David Hill Winery, home to the Willamette Valley’s oldest Pinot Noir Vines. Day 3 | Begin your day at Adelsheim Vineyard, one of the pioneers of the Oregon wine industry. Enjoy a comprehensive overview of the winemaking facility and a discussion of the history of winemaking in the Willamette Valley. Enjoy a walk through the vineyards and a tour of the LEED-certified barrel cellar at another Willamette Valley wine pioneer, Sokol Blosser. Stop at red Hills Market for a picnic lunch and bocce ball, then experience the “Taste of the Past” tour at Domaine Serene, where unparalleled wines are made in an Italianesque winery high atop the Red Hills. Overnight in the Dundee hills at the Black Walnut inn and Vineyard, a luxurious inn with sweeping views of vines, a hazelnut orchard and Mt. Hood. – including the newly released Black Brut sparkling wine at argyle Winery. Visit Stoller Family Estate, where gravity-flow winemaking techniques, energy-efficient heating and cooling, and waste-water reclamation are used to produce world-class wines with minimal environmental impact. 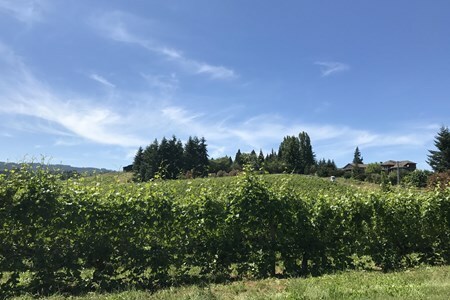 Enjoy lunch, tasting and a tour at King Estate Winery, dedicated to pairing Oregon wines with locally crafted ingredients, many of which are grown in the Estate’s 30-acres of organic gardens and orchards. Overnight in the heart of downtown Eugene at the elegant inn at the 5th. Day 5 | Head to Southern Oregon and enjoy a private tasting of Mediterranean varietals in the Bacchus Room and the Library Wine Cellar at abacela Winery. Visit Schmidt Family Vineyards, located in the beautiful Applegate Valley and known for quality Merlot, Syrah and Cabernet Sauvignon. The Wild and Scenic Rogue River that flows through Grants Pass offers amazing boating experiences. Enjoy dinner and a cruise on the river with Hellgate Jetboat Excursions. Overnight at the historic Weasku inn near Grants Pass. Day 6 | Visit troon Vineyard and try their signature Zinfandels, unique blends and varietals such as Vermentino and Tannat. Day 7 | Today visit Crater lake national park. No place on earth combines a 592 meter deep crystal blue lake, 609 meter cliffs and a violent volcanic past. It is the deepest lake in the United States and the 7th deepest in the world. Farewell dinner and overnight at Crater Lake Lodge. Originally opened in 1915, the historic lodge offers an atmosphere reminiscent of the earlier era and immerses visitors in rustic charm with spectacular views of the lake. Columbia Grapes Vineyards, the Best in the World With just a small geographical size, the Columbia River Gorge vineyards have no equal in the world. The vines flourish throughout the ... morewinter and summer seasons with their tastes changing accordingly. In addition, the rain pattern that differs from the eastern part of the Columbia Gorge AVA to its western end favors all varieties of grapes. The Columbia Gorge AVA is in a strategic place as in its western boundary, an individual can view the eastern side of the crest of the Cascades. When the maritime air moves eastwards, you can have an opportunity to see as the vine varieties interchange. Depending on the size of your group, you will be ferried by an appropriate vehicle. 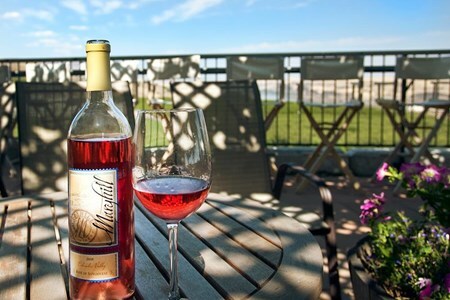 However, don’t end your visit without visiting the Maryhill Winery. It is located in a place where you can have a clear view of the Columbia River. Above all, you will view the beautiful sceneries including the Cascade Mountains and the vineyards. Nearly all aspects in Columbia are appealing to the eyes, and all types of wines are available. Therefore, you might end up spending all your vacation on one part of the Columbia and ignore the other. On your first day head up the Columbia River and view the Multnomah waterfall among the different waterfalls. Also, as you take this route, you can check on the famous wineries such as the Pheasant Valley and Marches Vineyards. Before thinking of leaving this city, look for a guide to take you at the Neolithic structure. This prehistoric monument will entice you to visit the place once more. 9:00 AM Depart Portland for the Columbia River Waterfalls; Wahkeena, Multnomah & Horsetail along the Old Scenic Highway. You’ll start to explore the wine country. First, you’ll sample the known Pinot Noir. A complimentary wine tasting at Ponzi winery. How about tasting a few wines hand-picked by professional winemakers at Chehalem winery before proceeding to the wine cellar. Later, checking by the famous Allison inn and spa will complete the adventure! 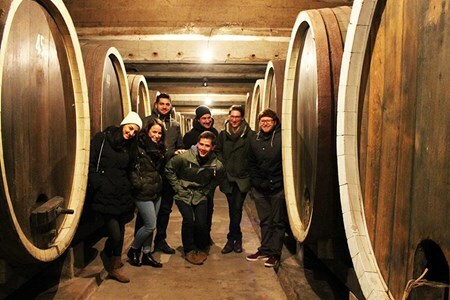 The tour is scheduled to start at Adelsheim Vineyard. You’ll explore the winemaking process alongside learning a few secrets to a quality wine on the table. Later, you’ll stop at Red Hill Market for lunch and some shopping. You’ll love the wine tasting sessions here. In the evening, stopping at the Black Walnut Inn and Vineyard will be worthwhile. The trip is scheduled for wine tasting at various facilities. You’ll start with the Stoller Family Estate and explore the various winemaking secrets. Later, we’ll stop by for lunch and some wine tasting at King Estate Winery. After this, we’ll proceed to Eugene at the Elegant inn for dinner and overnight. 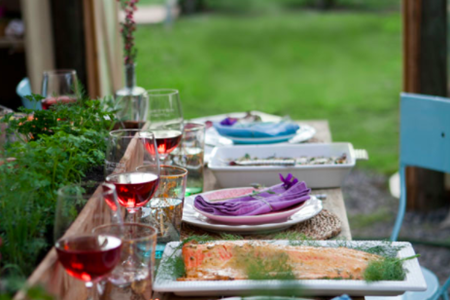 We’ll proceed south of Oregon and experience a private wine tasting of Mediterranean varietals! Wineries such as Schmidt Family vineyard will offer you fine wine labels with unique blends and flavors. Later, you’ll set off to enjoy the sight of spots such as Rogue River, Grant Pass; just to mention a few. Checking in at Weasku inn for dinner and nightlife experience. How about visiting the Troon Vineyard and try out their unique blends like Vermentino or Tannat? Well, the winery dates back in the 1850s. You’ll love the taste of wine labels produced here. If that’s not enough, how about a taste of wine at Valley View Winery? They’ll definitely leave you with great memories of quality wine. 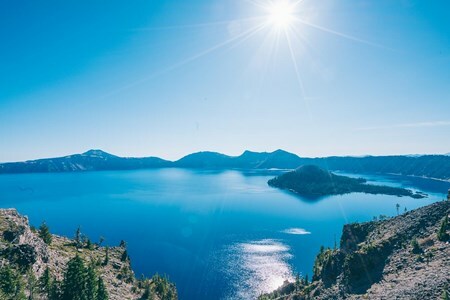 Here, you’ll have the opportunity to explore the famous Crater Lake National Park. The scenic spot combines a 592m deep crystal blue lake with 609m cliffs with a violent volcanic past. That’s fascinating! You’ll love the sight of the deepest lake in the United States and the 7th globally. Later, you’ll proceed for the farewell dinner at Crater Lake Lodge. You’ll love the atmosphere; although, the thought of this being the last day will definitely be frustrating! Well, the spectacular view of the lake and its breeze will flush of the thoughts. Depending on your time for departure, you’ll travel back to San Francisco, CA. You’re scheduled to arrive and catch up with other touring groups at the Portland Airport. You’ll then have the opportunity to cruise around and glimpse the full allure of the city. The sight of places like Portland International Test Rose Garden, the downtown district, and the Pearl District will fascinate you! Later, you’ll proceed to your room to freshen up before taking a nightlife. You’ll love the dinner at Bridgeport Brewery. Of course, you’ll also have a chance to taste some keg and even buy some for yourself before proceeding to sleep. The whole day is scheduled for a beer tasting on the outskirts of Portland. Of course, expect to taste the best of Portland’s beer and learn the secrets to the beverage! The first stop will have a beer tasting and educational session. The second stop will give you the opportunity to have some sumptuous lunch at a local brewery. Later, some beer tasting and dessert will be worthwhile. You’ll also have the opportunity to buy gifts and beer before departing to your hotel room. Perhaps you’ll love the views of various scenic spots around. That’s alright! The trip is scheduled to take you round the glamorous Columbia River Gorge. You’ll love the sight of Oregon- Multnomah Falls as you proceed for lunch. Fortunately, a sumptuous lunch is inclusive of the Thunder Island Brewing Company tour. Later, we’ll make a stop at Mt Hood before proceeding to Smith Rock State Park. 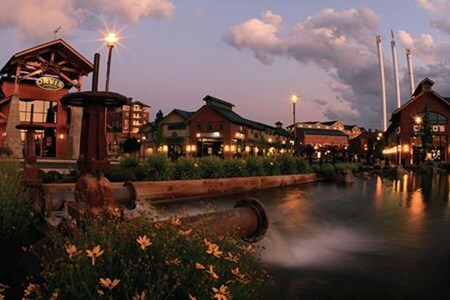 Taking an evening tour to Bend, Oregon will climax the day. There’s plenty to explore and enjoy at Sunriver Resort. In addition, you’ll love the experience at Central Oregon’s luxurious destination. You’re scheduled to visit Bend Oregon for beer tasting. You’ll visit the 10-barrel brewing for reshaped and unique beer tasting. Later, some luscious lunch at the Deschutes Brewery will be worthwhile. You’ll also have the chance to taste some of the leading beer labels before proceeding back to Sunriver for a fun-filled afternoon! The trip is scheduled to start at the High Desert Museum and then the Oregon Lava Beds National Museum. Here, you’ll explore the nature and culture of the people. After that, you’ll take some lunch and then head to Crater Lake National Park. Later, you’ll have a chance to explore the Grants Pass. Grant Pass also offers a quality nightlife! You’re scheduled to explore the incredible Jedidiah Smith Redwood National Park and Forest. A few spots at the various scenic spots will be worthwhile before proceeding for lunch at Brooking Oregon. Later, we’ll proceed to Brandon Port Orford and Coos Bay. The trip is quite an adventure! How about a visit to the lighthouse at the Oregon Coast? The sight of Central Oregon Coastline is a magnet! After this, you’ll have some sumptuous lunch before proceeding to Old Town Newport to experience the fishing docks as well as the shopping facilities. Later, stopping by Roque Brewery for dinner and beer tasting will be worthwhile. You’re scheduled to view the fascinating cliffs at Depoe Bay. A stop at the Pacific city for some beer tasting will do for the afternoon. Later, we’ll make a stop at the Tillamook cheese factory on our way to Portland. Here, you’ll love to see how cheese is made as well as taste some cheese. 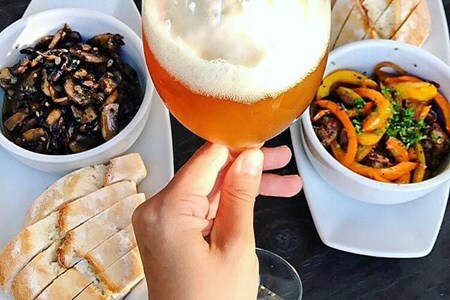 At Portland, you’ll have the farewell dinner; you’ll laugh, share, make friends and enjoy beer tasting at Oregon Brewery. Depending on when you want to leave, you’ll have a final chance to explore the Portland city as you head to the Airport to pick a flight home. This is an opportunity for you and your loved-one to indulge in a two-day romantic tour at the Douro Valley. 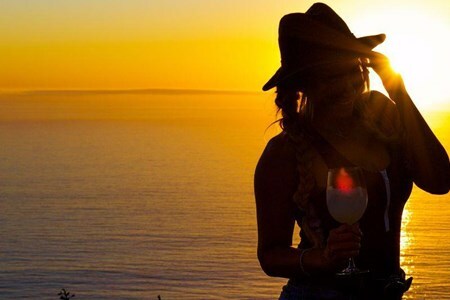 Cherish each other in the attractive sceneries of the world’s most ... morefamous wineries. This tour will offer you a chance to watch the sunset as you sip crispy, sparkling wine then delight in an intimate dinner which will be served on board as you sail along the Douro River. You will spend the night at a wine hotel and check out the following day. Check in at the charming Quinta da Pacheca wine hotel neighboring the Peso da Régua where you can take a walk in the wine estates, cuddle each other at the dock as you admire the beautiful scenes of the vineyards. You then board the boat at Folgosa dock at 6 pm for a 2-hour romantic trip and wine as you watch the sun go down. We’ll then return to the dock, where the captain will say goodnight and leave you to delight in a romantic dinner on board with chef Rui Paula from the famous DOC Restaurant. 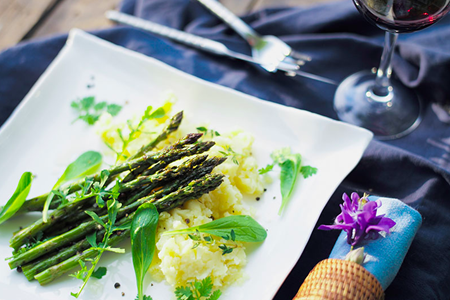 The meal entails charcoal grilled octopus or codfish or pig’s neck with asparagus purée followed by three different desserts; Fruit salad, chocolate mousse, and crème brûlée crepe you will only choose one. At around 10 pm you will get off the boat and carry on the romantic evening at the hotel. You can have a relaxed breakfast then check out late morning. You can later opt for a picnic lunch or wine tasting before departing Douro Valley. Perhaps you’re planning to visit Portugal’s Vinho Verde Route. That’s alright. The glamorous city has more than enough to offer for any vacation. You’ll definitely love the chat with ... morethe wine experts, the taste of the local wine, learn the history and culture of the Minho region, and enjoy the local cuisines made here. Once at Porto Airport, a chauffeur will pick you and cruise you around the glamorous town of Barcelos. You’ll love the sight of giant cockerels at the historical Centre. Later, you’ll visit Paulo Ramos, the owner of Quinta de Pacos. He’ll take you around the wine estate to see the vineyard that has produced wine for more than four centuries. Later, you’ll enjoy some sumptuous lunch at Segredos Mar seafood restaurant. The freshest catch of the day and some shellfish will make your mouth watery! Later, you’ll proceed to the coastal town of Viviana do Castelo and enjoy the panorama of the sea. 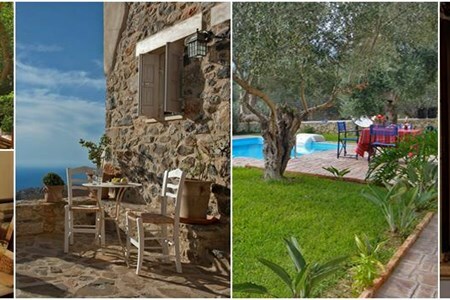 Finally, you’ll stop at a small wine estate that will form your home for the next two nights. 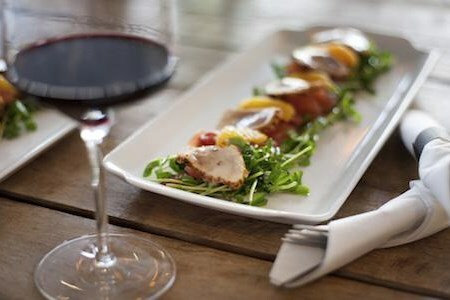 Here, you’ll taste some wine and have some luscious dinner before enjoying some nightlife. you’ll first take some delectable breakfast before proceeding for wine tours and tastings at MQ Vinho wine cellar. Enjoy the winery where Miguel Queimado together with three other wine experts produces new trends of wines. 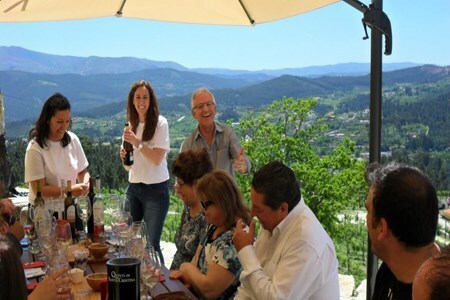 You’ll then visit the Quinta do Soalheiro for wine and pork tasting. Here, we’ll have some lunch and wine taste some wine before heading south to gallivant around the historic town of Ponte de Lima. In the evening, we’ll take you to one of the best local restaurants. You’ll start the day by visiting scenic spots in Guimaraes. You’ll then taste some wine at Celorico de Basto before heading for lunch at Casa do Campo. 17th-century architecture. Later, you’ll stop by Quinta de Santa Cristina for some wine tasting and fascinating mountain views. We’ll then proceed to a spectacular 4-star wine hotel for the evening; you’ll enjoy some a nice dinner, visit the vineyard and enjoy some nightlife. How about exploring the Minho countryside? Well, here is another magnetic place worth visiting! We’ll first stop at Sao Goncalo bridge and church. The guide will explain the history behind these scenic spots. It’s amazing! Later, we’ll visit the last winery at Quinta de Covela. This winery is an ancient property with an excellent view of the Douro River. 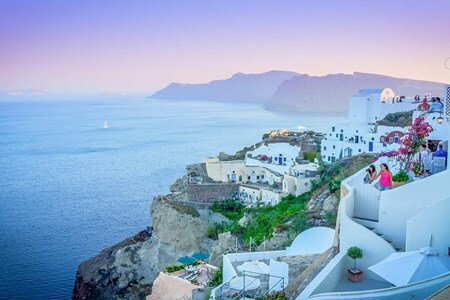 Here, you’ll enjoy the panorama of the rugged landscape as you taste some of the best-flavored wine labels. We’ll then have a lunch. Of course, some of the best Quinta’s wine will pair the dish. You’ll also have an opportunity to taste some wine from Verde that is a clear illustration of the transition between Vinho and Douro wine to give more mature wines. Later, you’ll cruise round in Porto and later spend the night in a 4star hotel. Depending on your time for departure, you’ll have some time to gallivant around the town one last time. When it’s time, we’ll take you to the airport. Feeling the urge to travel south of the border to Baja in search of empty world class waves, adventure, and the experience of a lifetime? Look no further because we are offering professional ... morespecialized surf adventures for you and your friends! Operated by experienced local Baja surf professionals and we possess a vast encyclopedia of waves suitable for beginner and expert surfers. 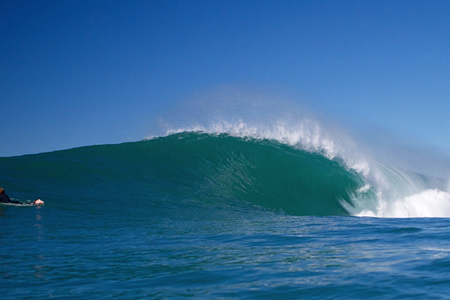 11:00am – cold beers on the beach after scoring great waves!